Some people try to downplay the seriousness of whiplash. However, if you have been in a car accident and suffered this injury, then you know the severe pain and disruption it can bring to your life. If another person’s negligence caused the whiplash injury, then you should explore all options available to you for recovering the compensation for your medical bills, lost income, pain, suffering, and other losses. To learn more, contact the experienced personal injury attorneys of Warren & Kallianos, PLLC. We put our 58 years of combined legal experience and a sincere dedication to helping others on your side. You can trust us to handle your case with the skill and compassion that you deserve. Whiplash lawyers frequently help clients who initially thought everything was fine after an accident. However, they began to experience symptoms within days or weeks. If you start to experience any of the above whiplash symptoms after a car crash, you should get to a doctor right away. You should get immediate treatment. Also, you will need to document your injury if you decide to pursue an injury claim against the party who caused your accident. 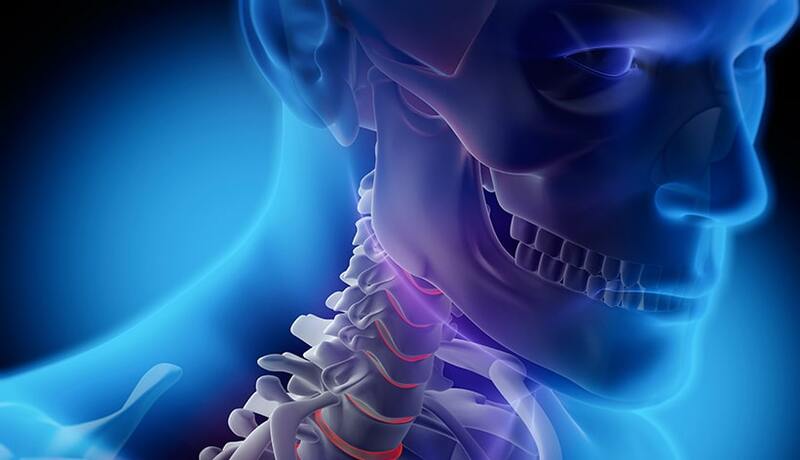 What Are Common Causes of Whiplash? The Mayo Clinic lists three leading causes of whiplash: motor vehicle accidents, physical assaults, and sports-related trauma. Rear-end collisions are a specific type of car crash that tends to cause this injury. The driver in the front car can suffer long-term harm because of the impact. The best way to think of whiplash is to think of the head and neck as two separate units. When a rear-end crash happens, the head and neck are at rest. However, when the other driver careens into the back of your vehicle, it abruptly jerks your vehicle forward, causing your body to also move forward violently and abruptly. The problem is that your neck jerks forward with the rest of your body, but your head gets jerked forward by your neck. In other words, it acts like a “whip,” with your head as the tip of the whip. Headrests help to reduce this back and forth motion. Still, if the collision is hard enough, nothing can really prevent it. The rapid back and forth action can cause strain to the muscle and ligaments of the neck, create painful inflammation and lead to many other serious issues such as disc injuries. Other types of accidents that commonly result in whiplash injury are slip and falls and swimming pool accidents. In other words, the injury can occur in any situation where the neck and head are shaken violently. While signs and symptoms can be a good indicator of whiplash, you will need to see a qualified healthcare provider to receive an appropriate diagnosis. Your family doctor or a chiropractor is a good place to start. Your healthcare provider may perform various diagnostic tests such as an X-ray or MRI to determine what injuries you have sustained. These imaging tests will help your healthcare provider to better understand whether it is whiplash or possibly a different type of injury. This will also help to determine if you need to see a specialist for additional care and treatment. For this reason, you should see a doctor as soon as possible after a car accident or an accident of any kind. You should also make sure to follow your doctor’s treatment recommendations. You may want to also keep a notebook or journal to help you to track your treatment and the impact of the whiplash injury on your ability to work and enjoy your life. One of the difficulties surrounding whiplash as a car accident injury is that it does not show up on medical tests such as an X-ray or MRI. Doctors can diagnose a case of whiplash based on their patient’s symptoms after a car accident. If you are filing a car accident claim, proving whiplash can be challenging, and the at-fault insurance company will do everything it can to discredit your claim for damages. In such cases, an experienced car accident attorney understands what is required in the way of medical records, and statements from the treating physician are required to prove your case. While whiplash injuries may cause severe and chronic pain following the accident, very few people have any long-term complications from whiplash. Healthline estimates that recovery time can be anywhere from a few days to a few weeks with full recovery occurring within three months. How Can Our Lawyers Help with Your Whiplash Injury? Having an attorney involved from the beginning of your case will take a lot of pressure and worry off your shoulders. This can be especially important at a time when you are probably going through enough stress. The last thing you need to do is to sit in a doctor’s office waiting for medical care while you are simultaneously trying to make important phone calls to insurance companies. Resolve any medical bills, liens, and other matters that could impact your final compensation. Strict deadlines apply to personal injury lawsuits North Carolina. Generally, you must bring a lawsuit within three years from the date of your injury. So, if you have suffered whiplash in an accident of any kind in Charlotte, you should seek legal help without delay. At Warren & Kallianos, we have established a record of successfully representing accident victims and their families. You will have peace of mind when you put your trust in the lawyers at one of Charlotte, North Carolina’s most recognized personal injury firms. We will never charge you upfront fees, and we will collect nothing from you unless we recover compensation for you. Don’t wait: please call us at 704-275-5593 or contact us today and get started with a free consultation about your whiplash injury case.